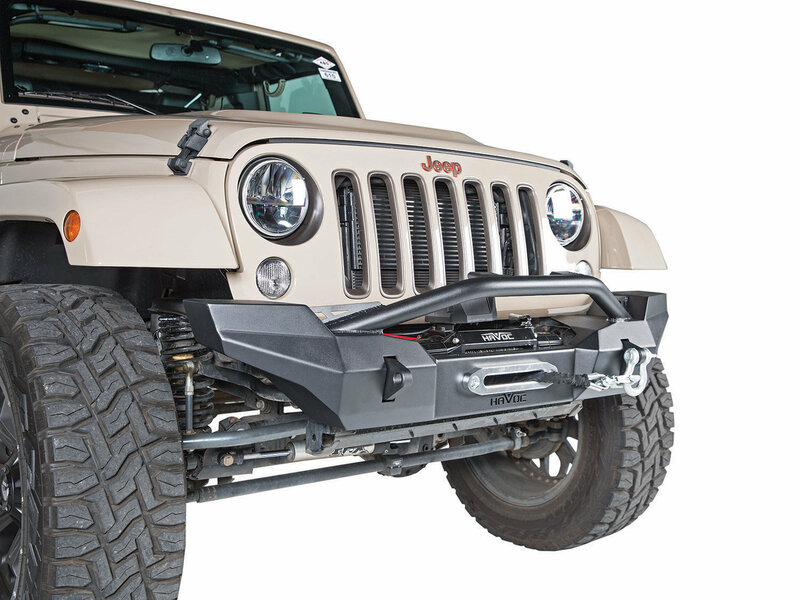 Looking for a aluminum bumper for your Jeep Wrangler JK? 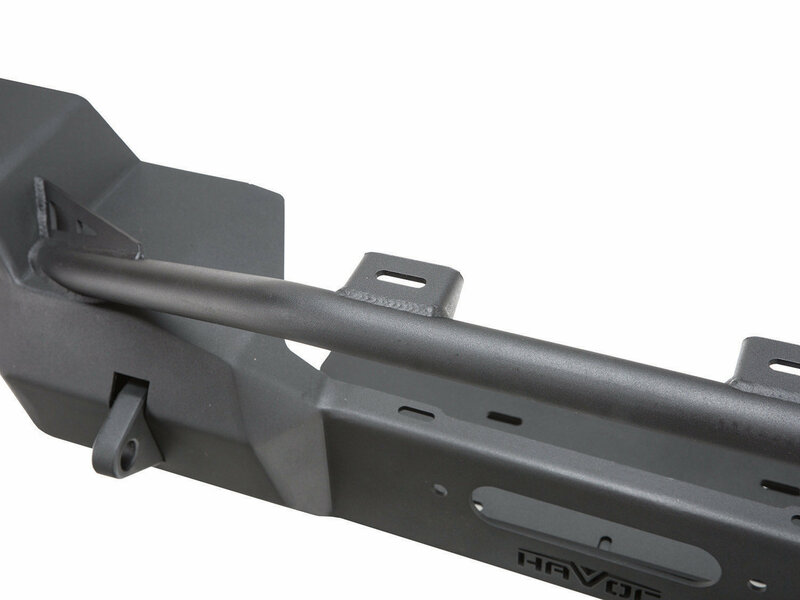 The Havoc Offroad Eliminator Front Modular Mid Width Bumper is offered in both a steel or aluminum material. 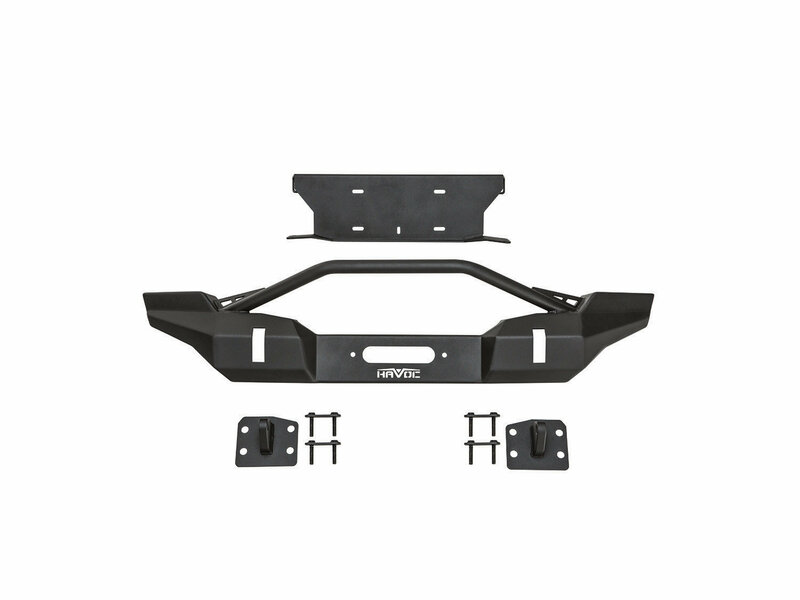 Providing a recessed winch plate (10x4.5" bolt pattern) allowing a winch to be mounted in a stout position without effecting the air flow to your radiator. Built from a CNC laser cut 3/16" steel and a 2 inch bull bar made from .120 wall tubing. Including 2 d-ring shackles. Winch is sold separate. 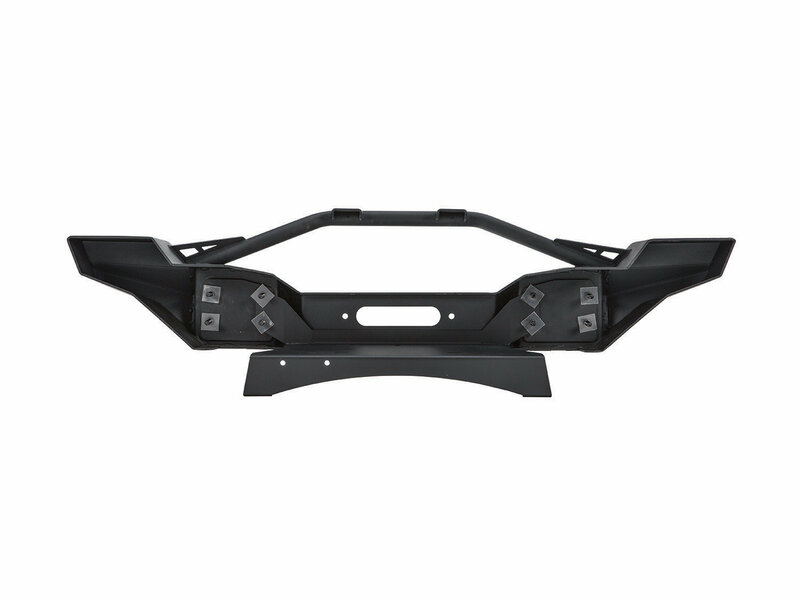 Aluminum Option: This bumper is available in a aluminum material alowing you to lighten the load of your front end with a rust free material. Custom made for your Jeep Wrangler JK mounting to factory holes. Mounting in less than 1 hour allowing for more play time. 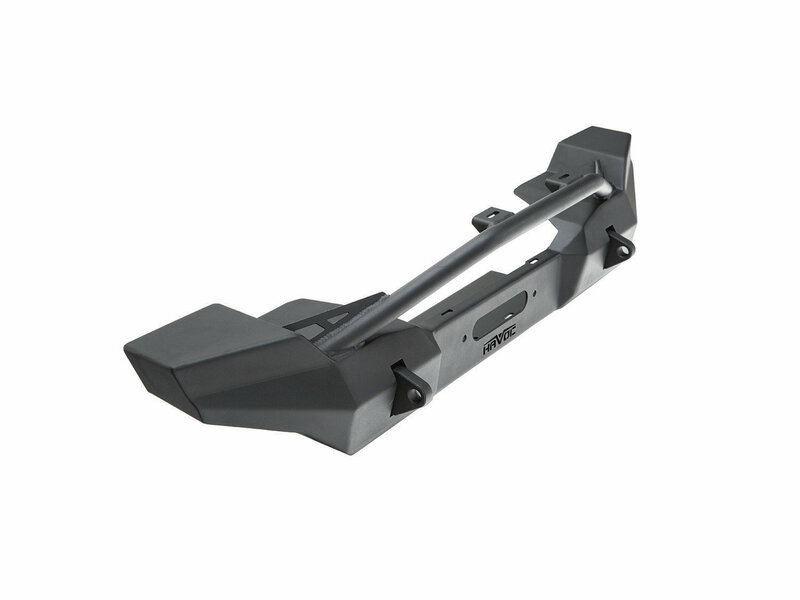 For the 2012+ JK application they include a vacuum canister relocation bracket. 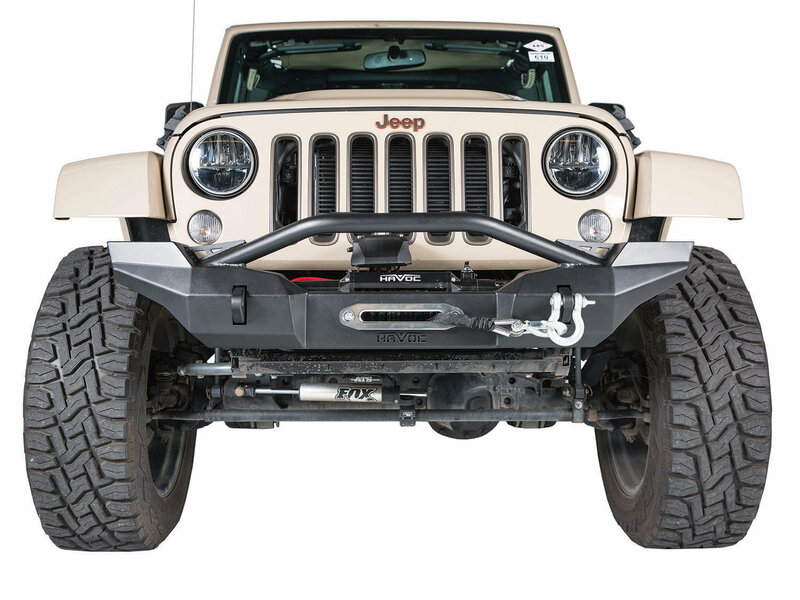 Mid Width Design: This heavy duty bumper gives your Jeep better approach angles to crawl through those larger obstacles. This stout 2" bull bar is made from .120 wall tubing with gussets to reinforce it. Giving your Jeep an aggressive look eliminating those trails with confidence. 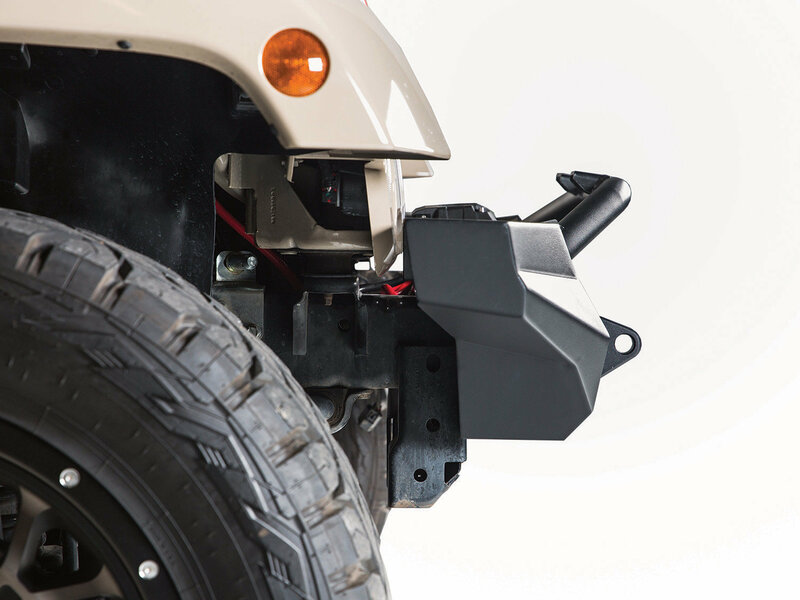 Recessed Winch Plate: This bumper offers a modular winch plate that ties into the crash bar for additional strength. Be sure to get a winch to finish off Jeep and give you that added peace of mind.